A short biography of German poet, writer, art historian and anarchist combatant in the Spanish Revolution, Carl Einstein. He commited suicide in 1940 to avoid Nazi persecution. Impassioned by art, Einstein was loosely associated with the Dada movement, and was part of the German expressionist movement where he discovered Picasso, cubism, and also African art. His work The Art of the 20th century, published in 1926, revolutionised the way of approaching painting and the visual arts. The illustrations in Negerplastik, Carl Einstein's major work, strongly influenced many artists, including Fernand Leger. He published “Der blutige Ernst” with George Grosz. In 1928, he moved to France, where he joined Georges Bataille and Michel Leiris on the review "Documents". He co-scripted, with director Jean Renoir, the film Toni. 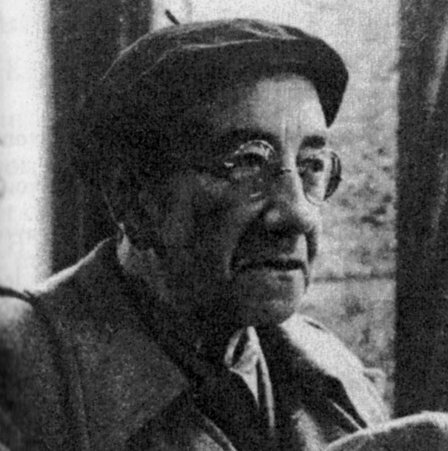 Deeply moved by the struggle for freedom in Spain, in 1936 Einstein headed there, along with other compatriots like Helmut Rudiger, to fight with the anarchist trade union, the CNT A fighter with the international group of the Durruti Column, he was wounded in combat. On November 22, 1936, he was in Barcelona, to give the funeral oration for the slain Durruti. Following defeat of the revolution, he crossed the Pyrenees and was interned in the infamous camps in Southern France containing the antifascists combatants and the Spanish population fleeing the exactions of the pro-Franco troops. The living conditions were terrible and, on July 5 (or 3? ), 1940, to escape Nazis persecutions, he committed suicide, in Lestelle-Bétharram (Basses-Pyrenées), France. "Where the Column advances, one collectivises. The land is given to the community, the agricultural proletarians, slaves of caciques which they were, metamorphose themselves as free men.